Heather, who has also given me a wonderful son-in-law, Josh, and now three precious More…granddaughters - Riley, Kendall and Harper. Heather is a 'critical care' nurse at the Seattle VA Hospital serving our veterans and just graduated (2015) with her Masters, now becoming a Family Nurse Practitioner. Josh is a research scientist for a pharmaceutical company. They live in Bothell, WA. My youngest daughter, Hilary, graduated UNM in December 2012, completed an internship program at Walt Disney World (2013), is now completing post-graduate work in GIS (Geographic Information System), and soon to begin working in the Washington, D.C. area. 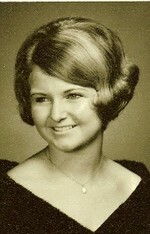 After one semester at UNM in the Fall of 1971, I discovered college was not for me . . . at least not at UNM. So, I was off to Hartford, CT to attend an airline training school and three months later I began working for Combined Airline Ticket Offices in Washington, DC; specifically their offices at the State Department, Department of Agriculture and the Pentagon. Before leaving Washington, DC, I also worked with American Airlines in their Reservations department at National Airport. After leaving Washington, DC, I continued to work with travel companies while living in Mesa, Albuquerque, Denver and Seattle. In 1989, I began my own travel agency, specializing in group travel, meeting and convention planning. I continue to sell travel, although on a part-time, less hectic, basis now. During the ‘90s, I also developed a travel curriculum and taught numerous travel classes. In addition to my training and experiences in the travel industry, I have worked as a full-charge bookkeeper for law firms; a risk manager and property administrator for a large commercial real estate company; and as an executive administrative assistant at American Home in Albuquerque. In early 2014, Jim accepted a Director's position for Hyundai Capital Insurance in Irvine, CA. Now, I'm a very happy 'kept woman' with time to work on projects I have saved over the years. The only career I ever aspired to was that of a wife and 'stay-at-home' mom (just as my very talented mother), which unfortunately was never to be. Now however, I am loving the role of 'stay-at-home' wife! Once I was settled with a new job at CATO (Combined Airline Ticket Office) in Washington DC, I married classmate, Steve Ulrich. Like many of us at that time, we married much too young. We moved to Arizona in 1976 where I continued to work in the travel industry, and was blessed with my first daughter, Heather, in 1979. By 1981, I began my new life and the struggles of being a ‘single Mom’. Except for a brief marriage in 1988, and another blessing - daughter, Hilary in 1989, I was a ‘single Mom’ for most of 30 years. After surviving two bad marriages and divorces, I chose to remain single. Then, right in the middle of my ordinary life, I was given a ‘fairy tale’. I finally found my soul-mate; my one-true love! And, it just so happens he was my first boyfriend, from 7th and 8th grades at Chaparral! Jimmy (Jim) White!! Jim’s father was transferred to El Paso and later to Roswell where Jim graduated high school. We last saw each other in May 1971. 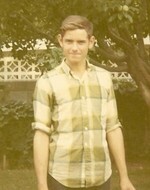 I began looking for Jim in 1981, and found him in late 2008 via Classmates.com. Finally, our timing was right and our lives are forever changed. These past few years have been the happiest of my life . . . filled with love, joy, excitement, respect and peace! Jim moved to Albuquerque from Virginia in May 2010 to be with me, and on December 11, 2010 he proposed to me on the steps in front of Chaparral Junior High School, where our relationship began back in 1966. On October 11, 2012, we were married in Costa Rica (non-legal ceremony) with our immediately family attending, and then traveled to Alamogordo for a legal ceremony on October 26 attended by Rick and Tonya Williamson. I am a cancer survivor. In January 2004, I was diagnosed with Hodgkin’s Lymphoma - the beginnings of stage four. I went through six months of chemotherapy, and have been cancer free now for 11 years. I enjoy traveling and have been fortunate to visit Europe, Scandinavia, Australia, New Zealand, Tahiti, Fiji, lots of the United States including Alaska and Hawaii, and taken numerous cruises. Since junior high days, I have been tracing my family trees, and especially enjoy it now with all the documents and information available online. Interesting tidbit . . . Jim and I are 'first cousins' about 11 generations removed, dating back to the late 1600s. I also have many special memories of the years spent working with the ‘missions council’ and as a ‘youth coach’ with teenagers in our church in Mesa, AZ. Now, my ‘special interest’ is my family – Jim, my daughters, a son-in-law, three beautiful granddaughters; two step-sons, two step-granddaughters and one step-grandson! Life is so good! Pam Melton has a birthday today. Pam Melton added a comment on Profile. Pam Melton posted a message. Happy Birthday, Mike! It was so nice to visit with you at the recent Reunion! Hope you have a wonderful celebration of you! Gerald Brantley has notified us that you may be coming to our 45th Reunion. Please do! We would love to see you again and hopefully you're a little curious about that class of Sophomores you once sponsored turned out. We'll do our best to show you a good time! Pam Melton updated profile. View. Pam Melton added a comment on Profile. New comment added. Happy Birthday, Cindy! Hope you have a fantastic day! Pam Melton posted a message. New comment added. Teresa, what BEAUTIFUL photos of your life and family! I sure hope we get to see you and Manny at the next Reunion. What an interesting life you've led, Dennis! So glad you've joined our Class Website. My condolences on the loss of your wife - way too young! I hope you will consider joining us for our Reunion in August 2016; we would enjoy having you come. Happy Birthday, Coach! Hope your have a fantastic 'birthday weekend'! Pam Melton has left an In Memory comment for Profile. Every time I hear "Rhythm of the Rain", I ALWAYS think of you and John and I can visualize you two singing together on the little, local TV station in Alamogordo in the 60s. Thank you for all the beautiful memories and thank you for being a part of my life. You will be greatly missed! Happy Birthday, Gerald! Hope you have a wonderful celebration planned! Happy Birthday, Darrell! Hope this birthday is special for you! Happy Birthday, Clare! Hope you are having a wonderful day! Happy Birthday, Becky! Hope you are having a wonderful celebration of YOU! Jim attended Heights and Chaparral (7th-8th grades) before his father's job moved them away. This was taken in ca.1966.